In the spirit of setting new goals and making positive changes as we start the new year, we're putting together a mini-series of posts on "New Year's Resolutions with LastPass". Our little tips and reminders will contain simple steps that help increase your online security in 2012, and ensure you get the most benefit out of the features LastPass has to offer to improve your digital life. 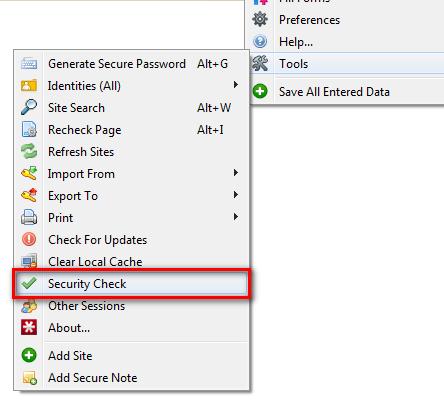 First up, let's take stock of the data stored in your LastPass account with the LastPass Security Check! Located in your LastPass Icon under the Tools menu, the LastPass Security Check analyzes the passwords stored in your LastPass account. 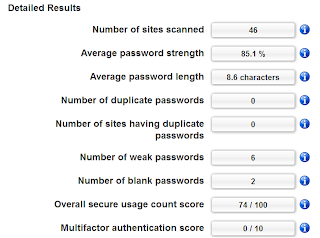 When you open and run the Security Check, you are given a score from 0 to 100 and ranked amongst LastPass users who have taken the test before, based on such factors as the strength and uniqueness of your passwords, the number of passwords stored in LastPass, and the use of multifactor authentication with your account. You might be surprised by the results - most people underestimate the number of logins they have stored, and the number of old passwords still lurking there. If you've run the Security Check before, you will see a graph charting the history of your performance over time - hopefully showing improvements as you've continued to use LastPass! Take a minute today to run the Security Check and review your numbers. We won't get into the work right now of raising your score, but let's use it as an opportunity to see how your passwords are doing, and see where there are some areas for improvement. Do you have a lot of old logins with old, simple passwords? 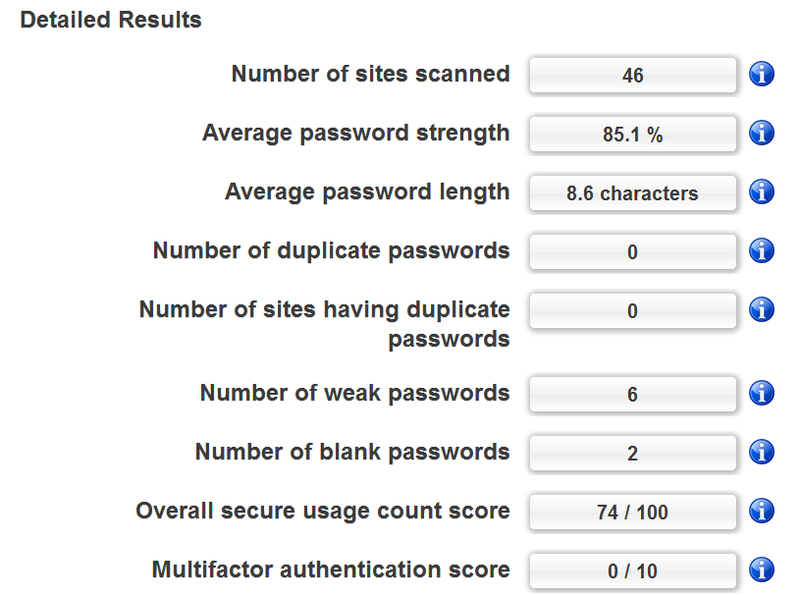 Are you still using the same passwords across multiple sites? If you answered "yes", or just generally see room for improvement, our upcoming posts will help you up your score and get back on track!